A Fellow of Chartered Accountants Ireland, Colm works with SMEs across a range of sectors including multinationals, manufacturing, retail and health care. He is a recognised expert in Credit Unions and provides risk management services to regulated, public interest and other entities. In addition to his audit and statutory compliance work, Colm advises on strategy, profit growth, wealth management, succession, banking and tax matters. He is head of RBK’s Credit Union division and provides strategic advisory services to more than 40 Credit Unions. 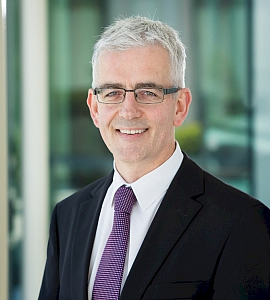 Colm serves on a Chartered Accountants Ireland committee and on several voluntary community organisation committees.